Is Bridge Vision like insurance? Bridge Vision is NOT like insurance! We eliminate the inefficiencies and complexity of vision insurance — and pass those savings on to you. That means every dollar you contribute to a vision benefit goes directly to the cost of vision products and services. What is a Bridge Vision authorized cash code? 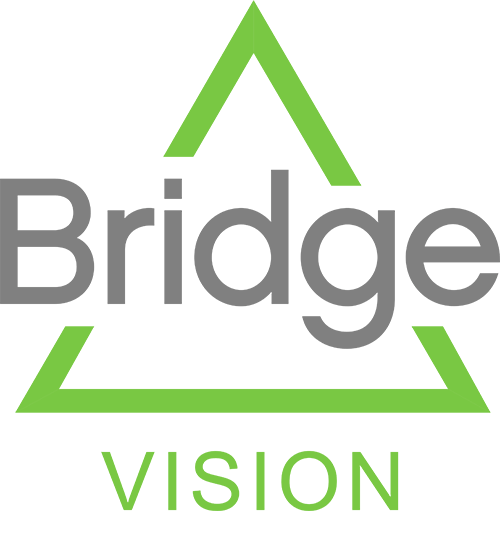 Bridge Vision members will receive an authorized cash code when they have been assigned a new vision benefit. This cash code can be printed and used as payment tender at any participating location. How long does it take to receive vision benefits? There is no waiting period for Bridge members. As soon as we process your payment, the authorized cash codes will appear in your account and can be used at any participating location. What happens when I have a new member? You can add new members and assign new vision benefits at any time. What happens if a member leaves without using their vision benefit? If a member leaves your organization before using their vision benefit, you can cancel the cash code assigned to them. The funds will then be converted to credits, which can be used toward future orders. How will members receive their vision benefit? When you assign a new vision benefit, your member will receive a cash code that is authorized for the amount you chose to provide. You can choose to send assigned cash codes via email, text, or mail. Where can members redeem their cash codes for exams and/or glasses? Find Locations online. Members can search by name, location, proximity, or services offered. What can my members purchase with their Bridge Vision authorized cash code? You can choose to offer eye exams, contact lenses, and/or glasses. Bridge Vision cash codes can only be used to purchase vision products and services. When does the vision benefit expire? By default, Bridge Vision cash codes are set to expire 12 months after date of activation. We accept ACH/electronic check and credit card payments. What is the administrative fee, and what does it cover? This small fee provides unlimited access to Bridge Vision customer support, as well as exclusive offers and pricing for Bridge Vision members. Also included with your membership is a comprehensive reporting suite for your company’s vision program. Bridge Vision automatically tracks all purchase and usage history for your account.